← Finding Female Friends Online: Don’t Laugh — it Works! 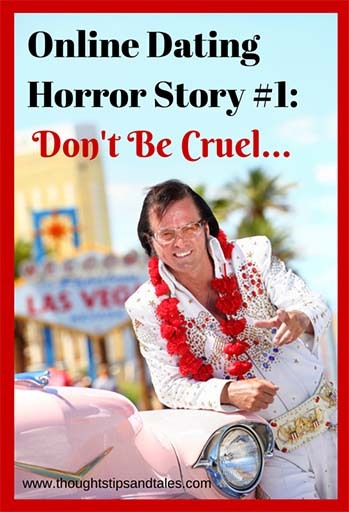 This entry was posted in bad dates, dates from hell, dating, elvis impersonator, internet dating, life, memories, online dating, online dating horror stories, thoughts tips and tales and tagged bad dates, dates from hell, dating, elvis impersonator, internet dating, onliine dating horror stories, online dating. Bookmark the permalink.